Mosaic portrait of Milwaukee Bucks player Khris Middleton using the actual map of the Metropolitan area of Milwaukee as the grid where they are constructed upon. 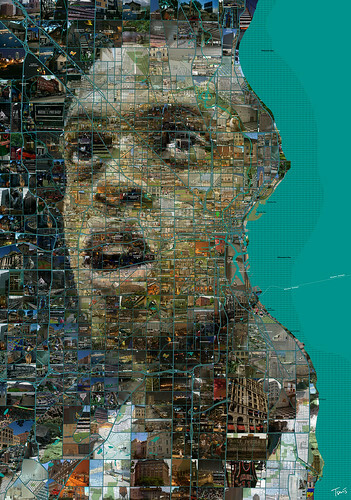 Thousands of Milwaukee photos are used to fill the gaps between the streets. See all my Sport Illustrations.